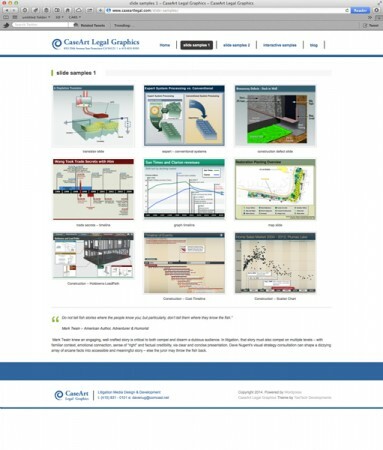 The CaseArt Legal Graphics website is a site marketing a consultancy focused on the litigation graphics market but with a long history in video production as well. This site targets lawyers who need to quickly see that the type of work produced here suits their needs. 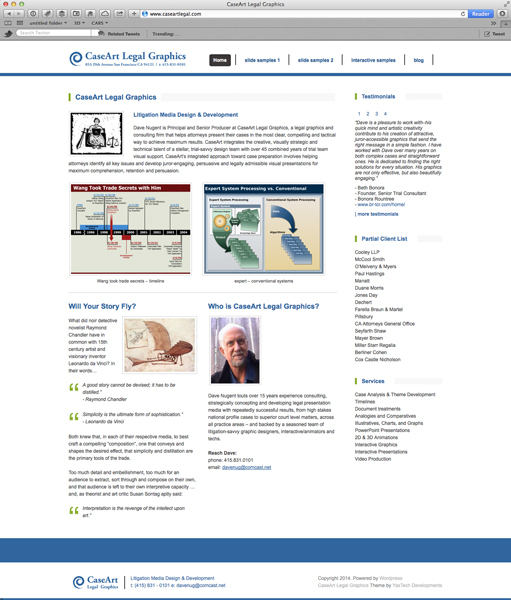 I worked with this client to create an easily updated site driven by WordPress, and designed it to appeal to this target audience primarily consisting of lawyers and jury consultants. The portfolio samples and actual design need to show the types of projects that CaseArt Legal Graphics has experience producing.